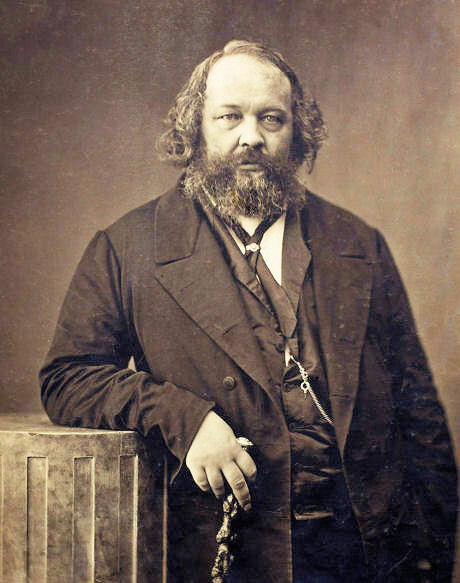 Post 1848: Anarchist Mikhail Bakunin rises to prominence, advocates violence to overthrow existing governments. Inspires murder of state officials in an effort to incite state retribution and mobilize the population against the government. Marie François Sadi Carnot, (1894), President of France. Many other attempts fail and innumerable lower-ranking officials are killed. 1858: Charles Darwin re-conceptualizes biology with his theories of evolution; his views are interpreted as a challenge to traditional religious thought. 1867: First violent attacks in England by supporters of Irish home rule. Hatred of Bourgeois is the beginning of all virtue. 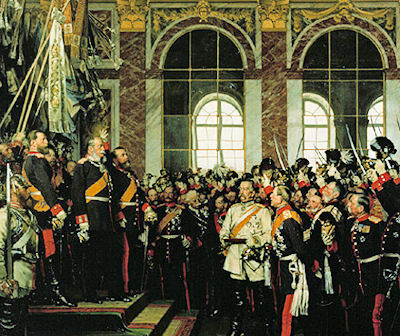 In a career lasting over a quarter century, Chancellor Otto von Bismarck guided Prussia to three quick military victories, stage-managed the unification of Germany, and created a delicate balance of power that shielded Europe from general war. The last step in bringing the fragmented German principalities into a single nation was a war with France instigated by Bismarck. Victory was quickly gained, Paris placed under siege and a German Empire declared in just a few months. The taking of the provinces of Alsace and Lorraine by the victors, however, left France Germany's committed enemy. God is dead. God remains dead. And we have killed him. How shall we comfort ourselves, the murderers of all murderers?